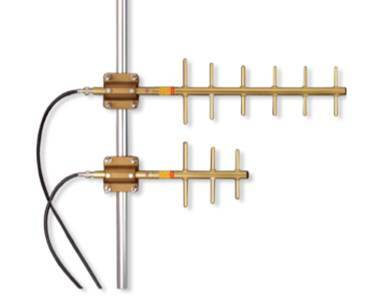 Laird premium series directional Yagi antennas are fully gold anodized for corrosion resistance. All UHF and above frequency antennas feature internal matching to assure broad bandwidth and resistance to severe weather conditions. There is no gamma match to ice up, corrode or detune. Our engineering staff has optimized the product family for forward gain by computer analysis and then field-tested each for conformance.